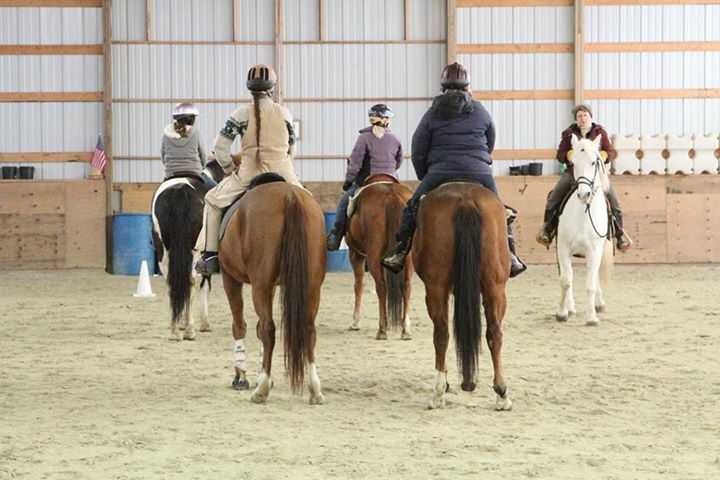 UPDATE: Back in December everyone was excited about the Feb./March Horsemanship Workshops and Drill Team practices. Now the reality of winter has settled in there is not as much enthusiasm. Because of this I have decided NOT to have any group events in Feb./March. I will continue with all of my private lessons on and off the ranch.Wishing you all a safe and fun winter and I look forward to seeing you again in the spring. Stay warm! I hope you are keeping warm this winter! As most of you know I have taken some time off from teaching this January. My goal this year is to offer both horsemanship workshops and drill team practices here at the ranch on a regular basis and to have them planned out and scheduled every 3 months. My objective is to be able to help all of you attain your goals for the year and to help keep you on track. I have made out my schedule for February and March this year. This schedule also includes sign up information for both the Horsemanship Workshops and for Drill Team. Download the PDF by clicking HERE. Or choose a .doc (MS Word compatible) file by clicking HERE. As always I will be available for private lessons both on and off the ranch. If you would like to host a workshop or clinic at your facility please contact me via e mail. Sunday January 18th at 1 pm. There will be refreshments. I would like to give you the opportunity to discuss your goals for the coming year. I will have a printed version of the schedule and sign up form for those of you who have not signed up yet. I feel this gathering will be beneficial to all who attend as it will give you a chance to set the time aside and think about your goals for you and your horse. Not to mention a fun afternoon for everyone. Please let me know via e-mail by Friday January 16th if you will be attending the gathering. I am asking everyone to please have their forms filled out for February and March and returned to me no later than Sunday January 25th.